Estimating and then checking amounts by counting. Our end of year treat! Cardinal Allen kindly organised and hosted. We worked hard in our teams. There were lots of fun events for us! We have been practicing our worship. The school Teddy Bears Picnic. Using money to make amounts. 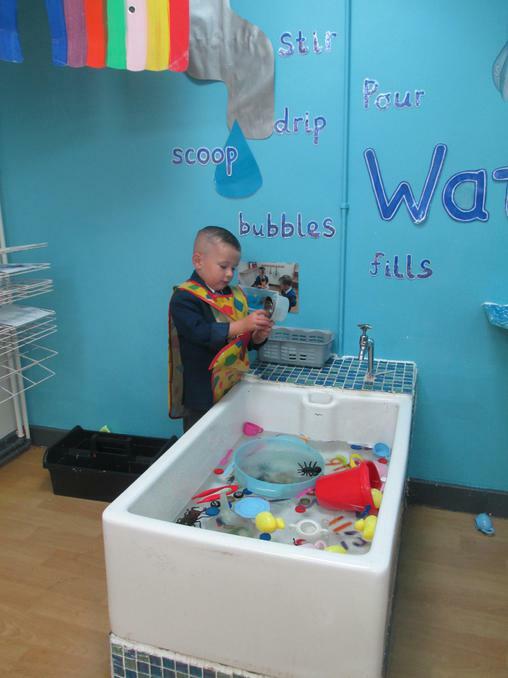 Y1 science - waterproof materials. Our school Royal Wedding street party. We dressed up to celebrate. We looked at some old toys. We compared old toys to new ones. We though about what they're made from. We have been revising subtraction. Our last yoga session .... NAMASTE! 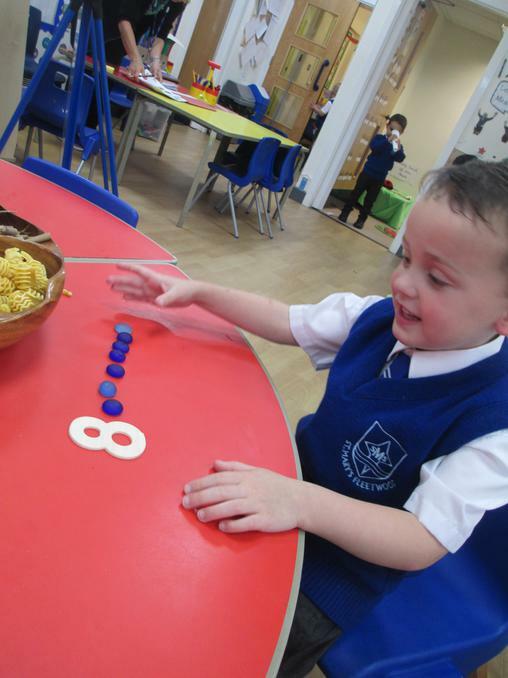 Using numicon to help with our number work. The PSCOs came to visit. We each got to sit in a police car! We were told about all the buttons. We are very lucky we had such amazing visitors. We played take away skittles. Year 1 completing a traffic survey. Acting out Jesus returning to his disciples. 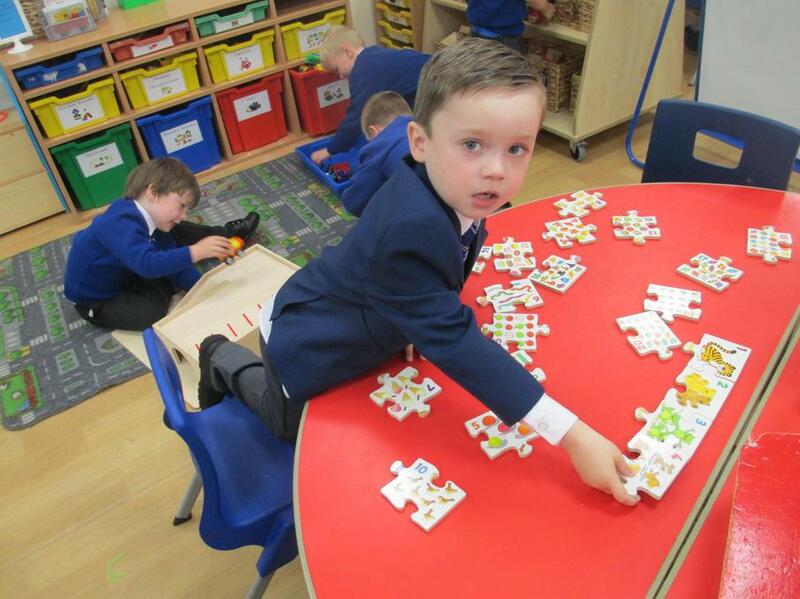 Y1 created maps of the classroom. We have been logging onto Purple Mash ourselves. We learnt about our bodies. We learnt how to keep healthy. We have been learning how to recognise o'clock. Making half past an hour. Design and make a chair for a toy. 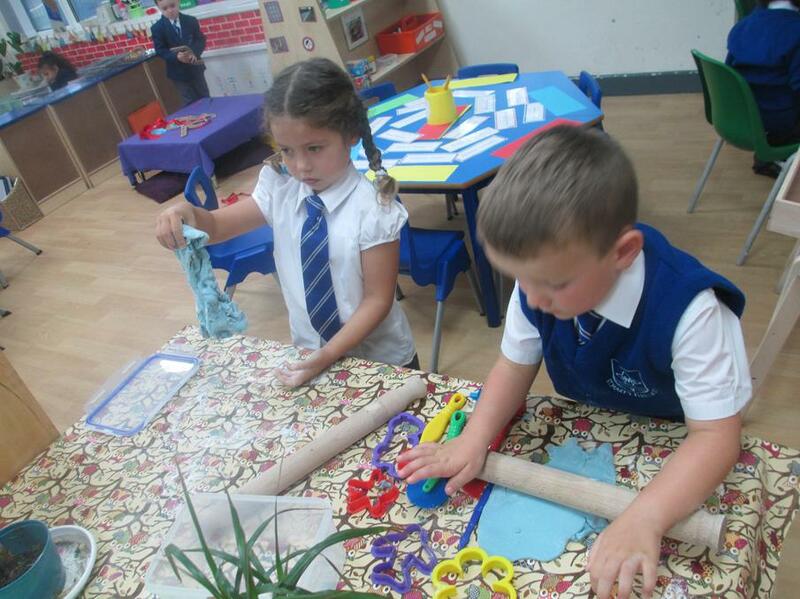 Creating different lengths in the playdough. Counting ducks to make duck soup. Designing a bridge for the 3 Billy Goats. A bridge design and model. We had our first yoga lesson. Counting items from The Scarecrows Wedding. Year 1 went on a Geography walk. Year 1 stopped off on the park. 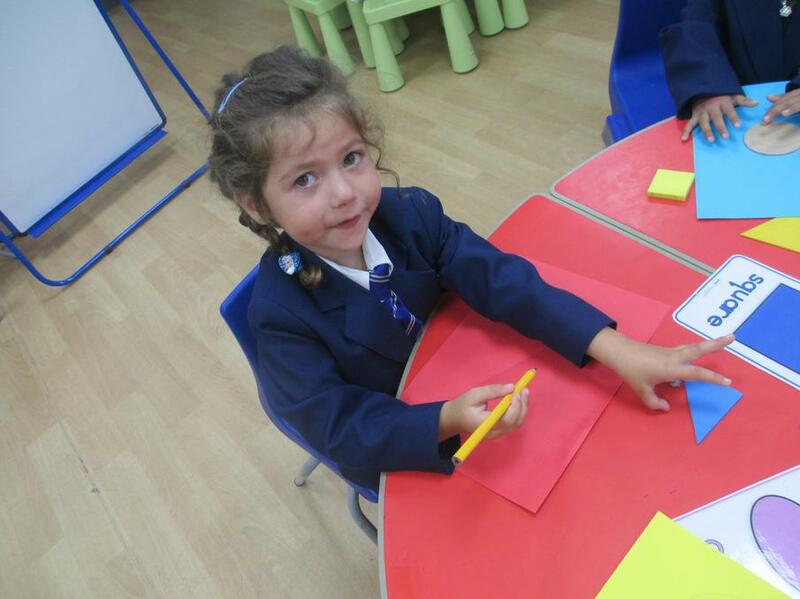 Year 1 computing - deign your avatar. Check out our version of No Matter What which we recorded for our Mothering Sunday assembly. You can find it under children - video resource centre. We are very grateful that so many of our families came to spend some time in class with us on Tuesday afternoon. 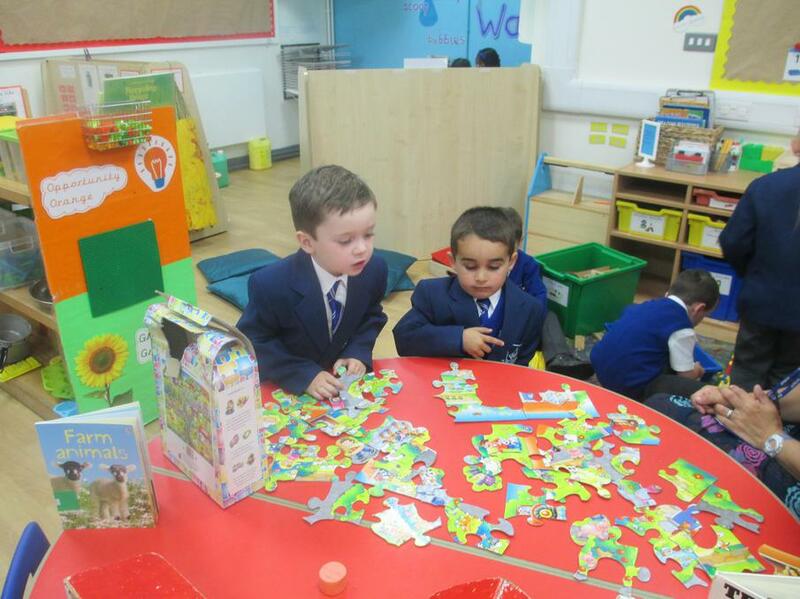 We asked them about toys and birthdays when they were our ages and did lots of lovely Easter crafts together. Making paper chains for our guests. Using Ipads to access purple mash. We enjoyed taking part in the Stations. 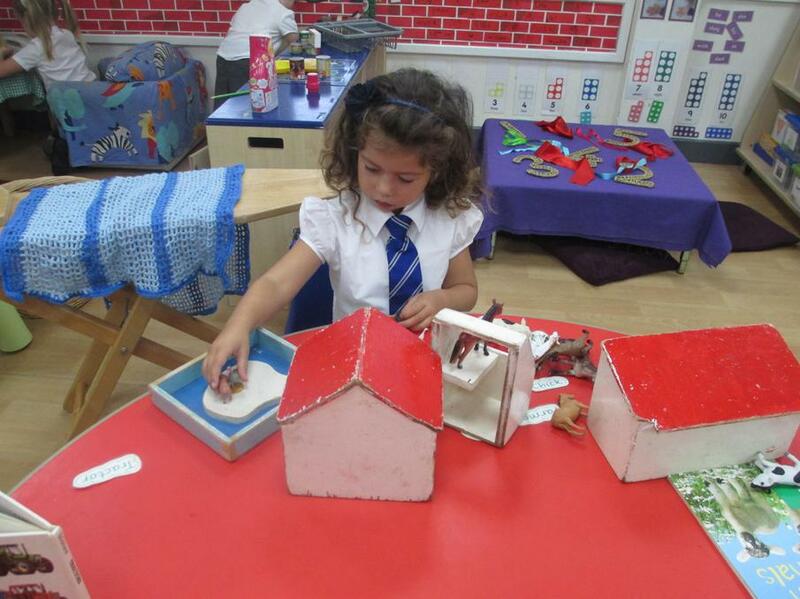 Retelling Cinderella using story stones. Threading the correct number of beads onto a wand. Making crowns with junk modelling resources. Exploring angles in the water. Letter formation with chalk on the wall. 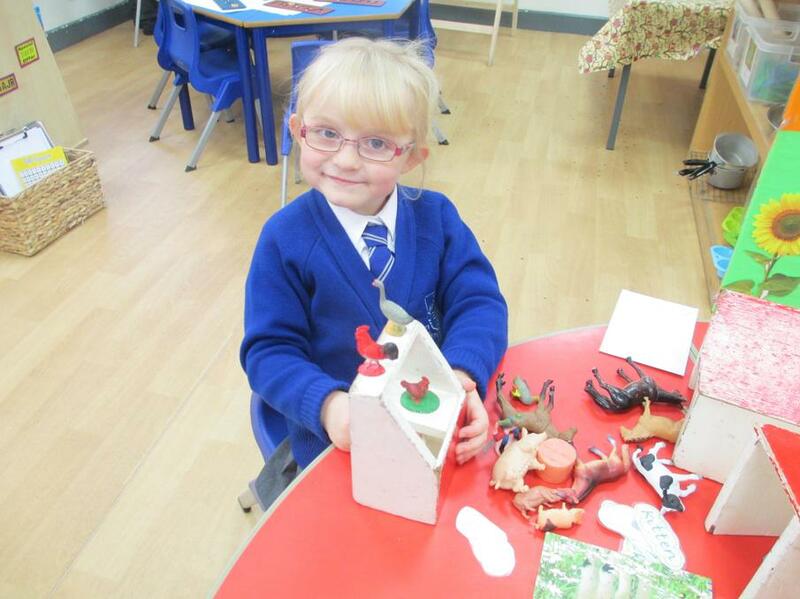 Y1 Science - seasonal change. Measuring and comparing the size of our feet. 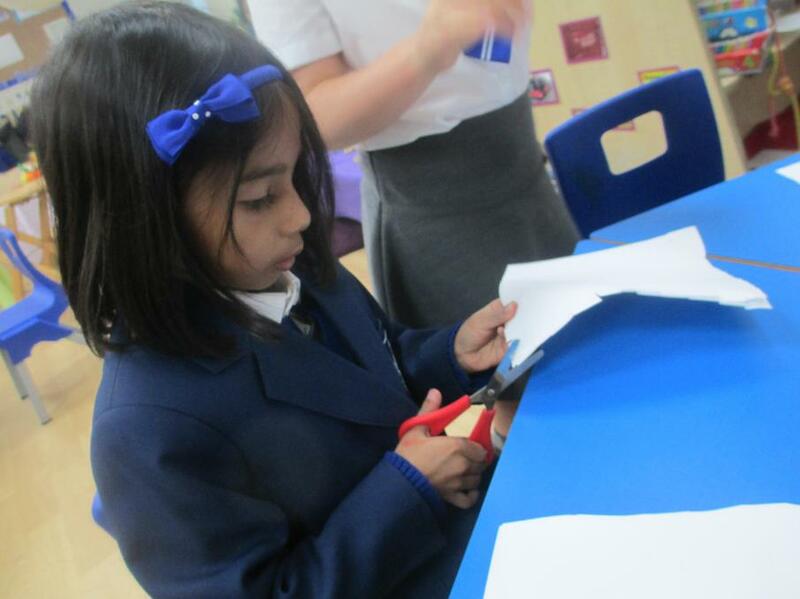 Using tweezers to add decorations to the crowns. We used various sized containers with lentils. Team work to build a wolf proof house. 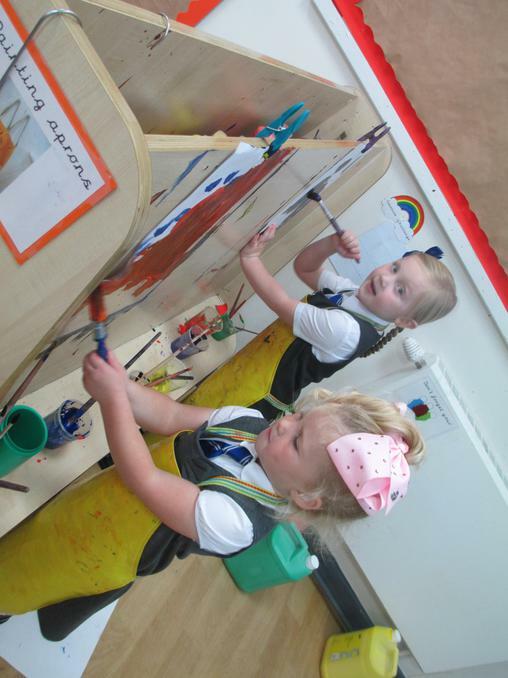 We painted pictures for our special ladies. We lead a Mothering Sunday Assembly. Gifts for special ladies who look after us. 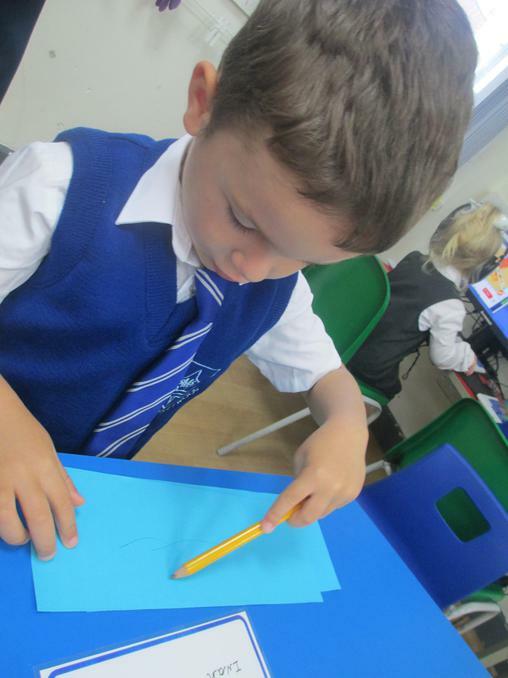 We have been learning to 'take away'. Balancing, jumping and landing safely in PE. Counting and adding two amounts together. 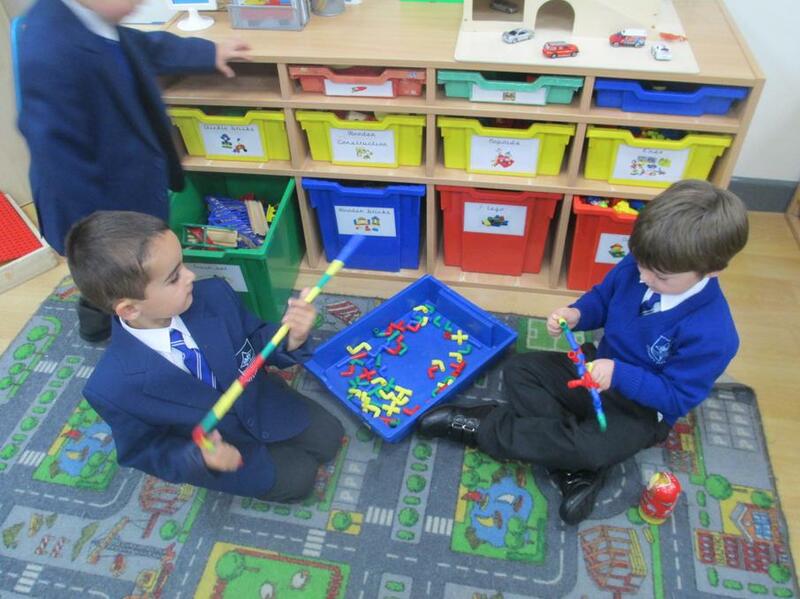 Using chopsticks to move objects for counting. 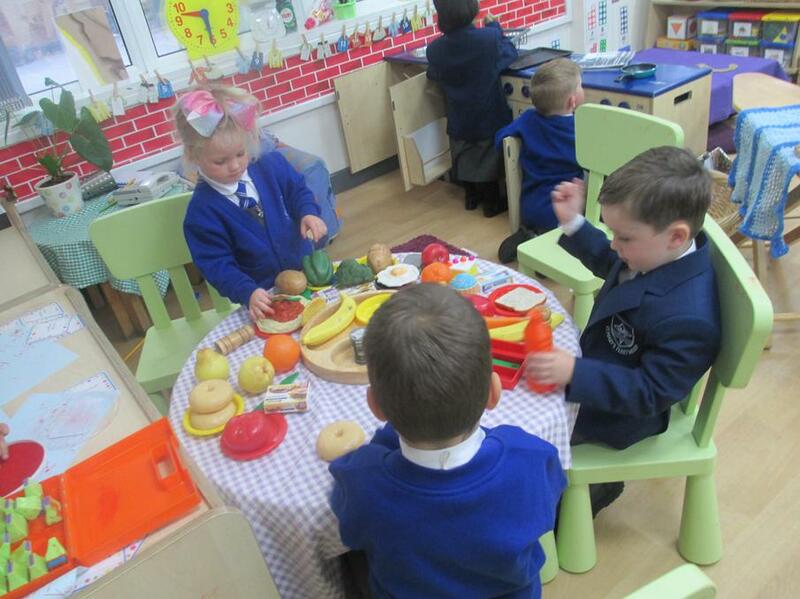 Our fruit and veg shop. Following instructions on an obstacle course. 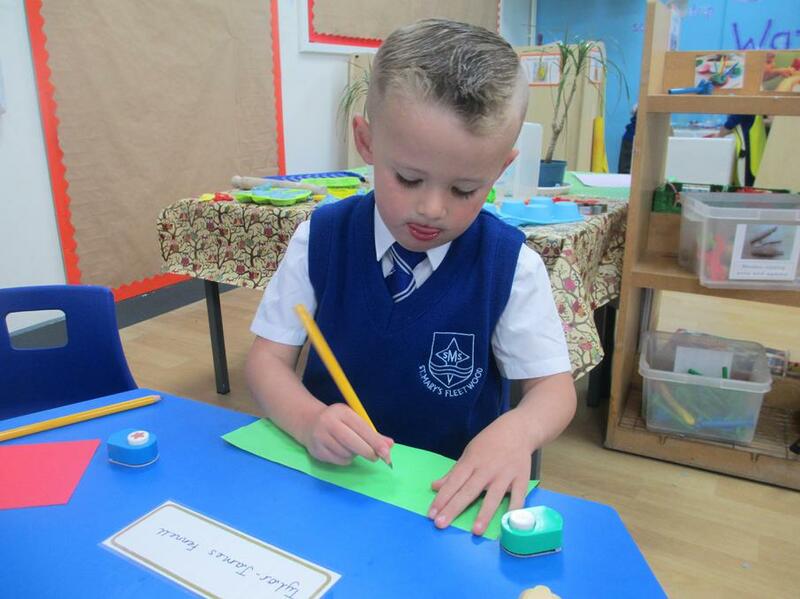 Using phonics to write a fruit and vegetable list. 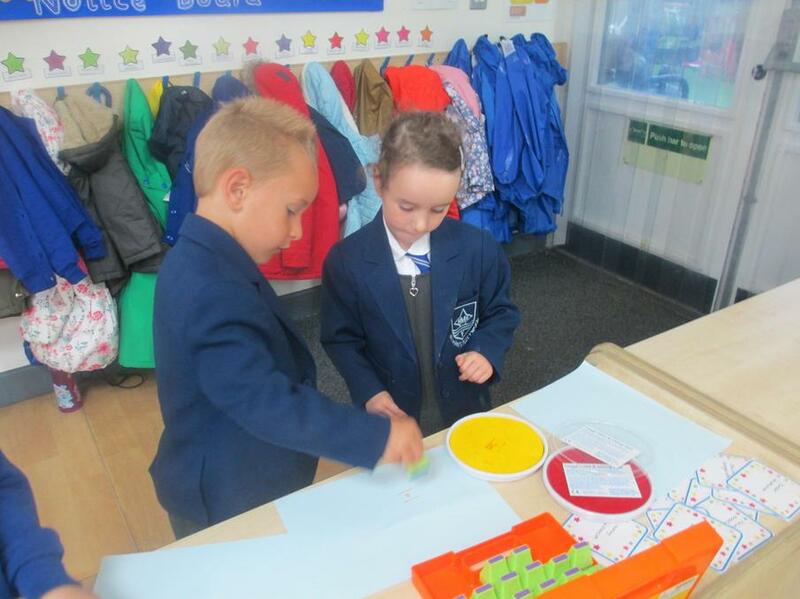 Year 1 went on a 3D shape hunt around school. Comparing weights using 'heavier' and 'lighter'. Using standard and non-standard units. 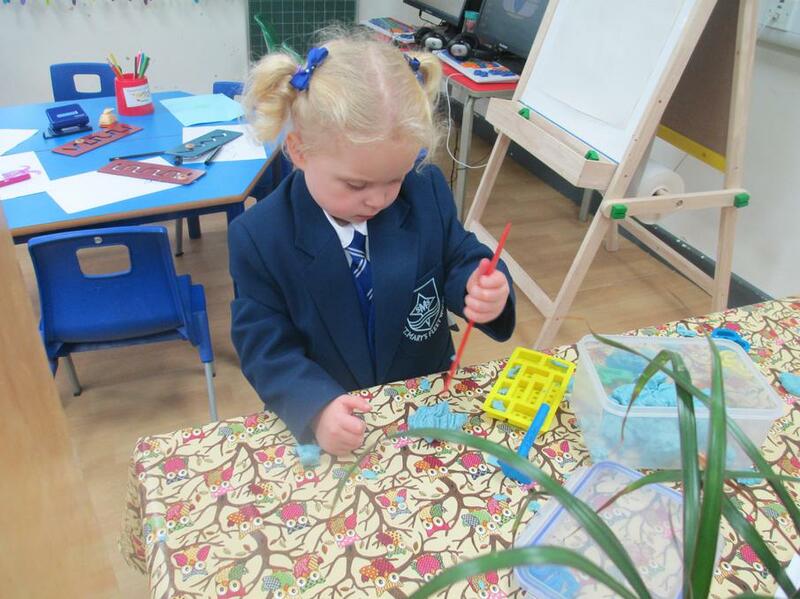 Counting magic beans in multiples of 2. We have been exploring Autumn in our outdoor area. We have been collecting leaves, building shelters, playing in the wet weather, and investigating pumpkins!